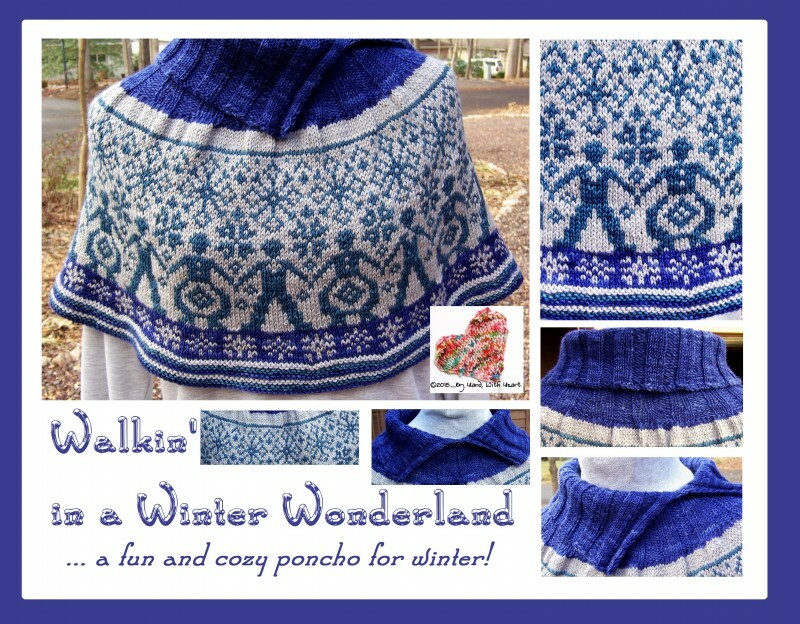 A fun, short poncho (enough to keep shoulders/upper arms cozy without impeding arm movement) that highlights a traditional stranded colorwork design in a modern, chic manner. The man-and-woman are walking hand-in-hand amid a snowstorm! The sample shown uses Lisa Souza’s hand-dyed Supersport (a superwash sport weight yarn) in blue-violet, light grey and indigo blue. This pattern is available for immediate download from Ravelry, Craftsy or (for those in Europe) on my Love Knitting page. Thanks, Paula … the colors came out really cool and it was a fun knit!